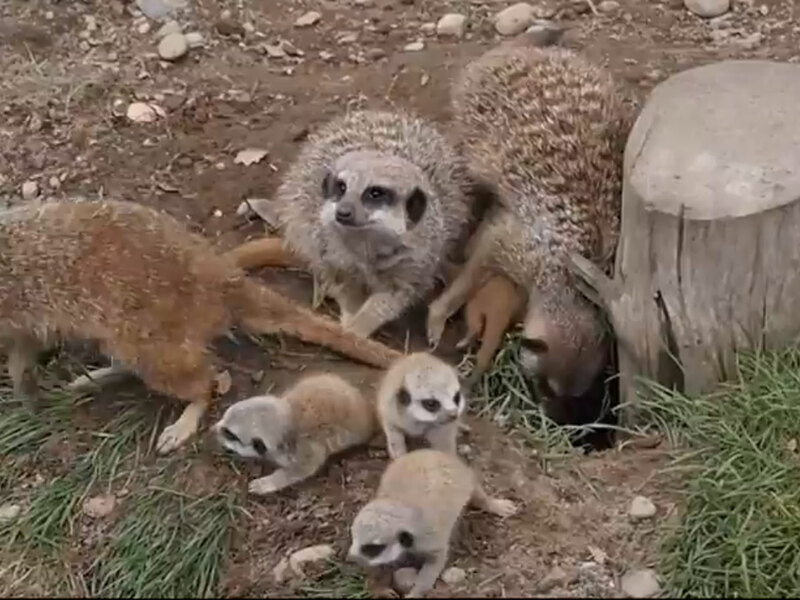 "One minute of baby meerkat therapy"
Sometimes the title says it all. In our hectic, nonstop world, where we seemingly bounce from crisis to crisis, it's hard to take the time to relax. But that doesn't mean it's not important. Take 60 seconds out of your day for some in-your-face therapy, starring adorable meerkats. Is it the old timey music? The heartwarming site of a happy family? Or maybe just the raw cute factor of baby meerkats? We can't say for sure. But what we do know is that this is therapy that works. Don't you feel better already?